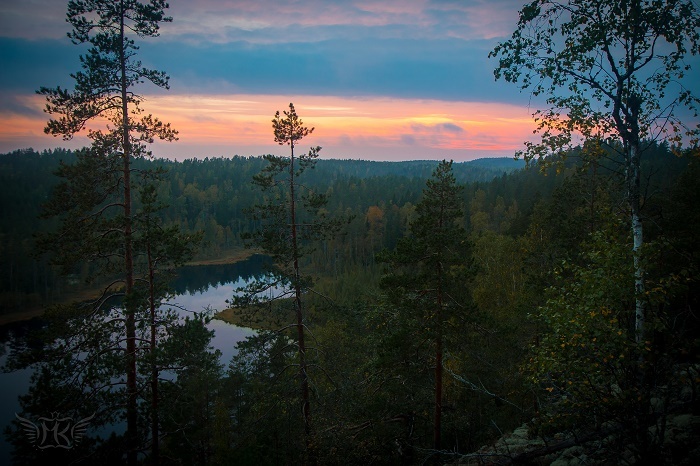 Repovesi National Park is an impressive area with forests, hills and lakes, located in the municipalities of Kouvola and Mäntyharju, in the southern part of the Republic of Finland. 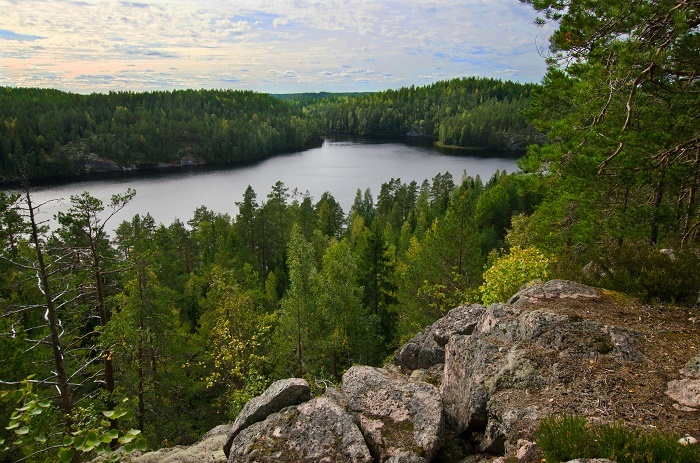 As the rugged forests are dotted with blue lakes and ponds, the Repovesi National Park in the past was a site for intensive commercial forestry, however, it transformed successfully into a pristine park for the adventurous people in 2003. 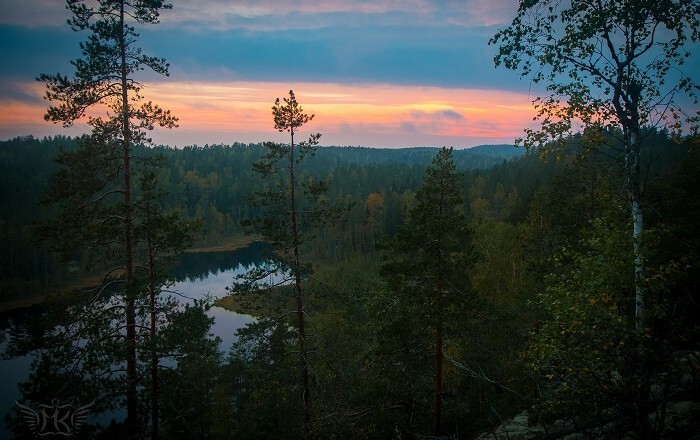 Due to the vastness of the area, Repovesi is one of the best places for hiking, as there are over 40 kilometers (25 miles) of trails with various difficulty. Many of the trails are quite demanding, because of the changes in altitude, nevertheless, there are stairs and duckboards in places, which are the most difficult to traverse. The interesting fact is that the Finnish Army is using the east and northeast part of the park, which is a restricted area, therefore entering that specific area could get every person in trouble. 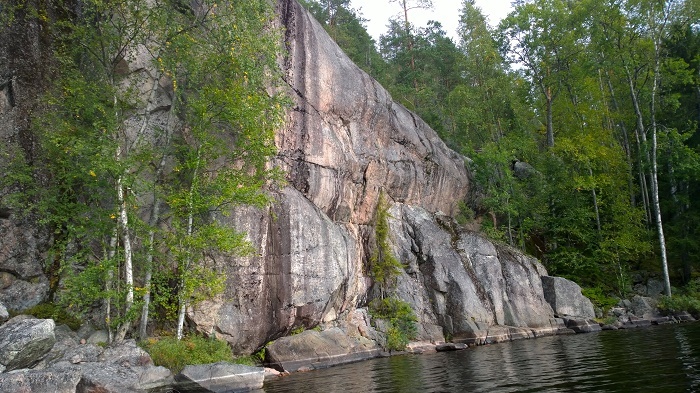 With a total area of 15 square km (6 square mi), there are many attractions that are offered there, such as: the Olhavanvuori hill, popular among climbers, and the Kultareitti water taxi route. 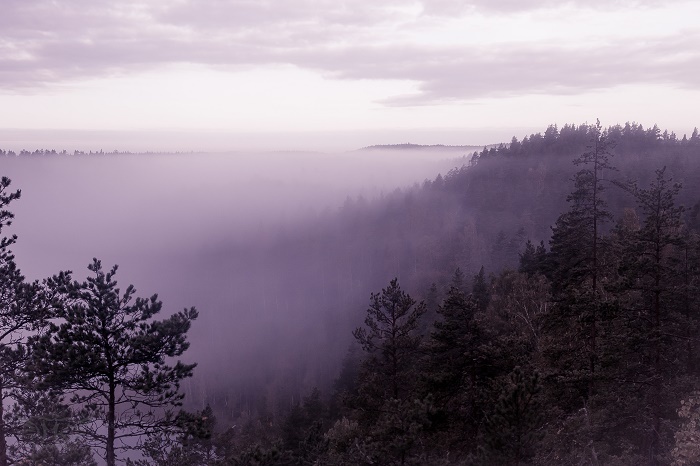 Also located in the park are the Kuutinlahti bay with its restored timber rafting channels, the Lapinsalmi suspension bridge, and many observation towers. 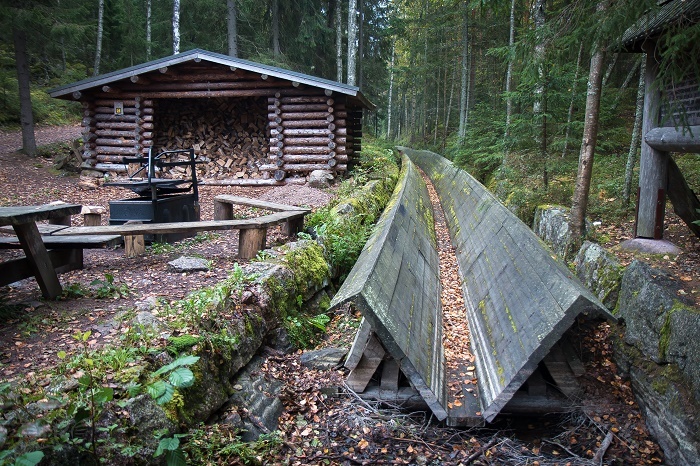 The timber rafting channels can be seen throughout the park, as it was practiced from 19th century, up until 1960s. Logging was done by men and horses up to then. 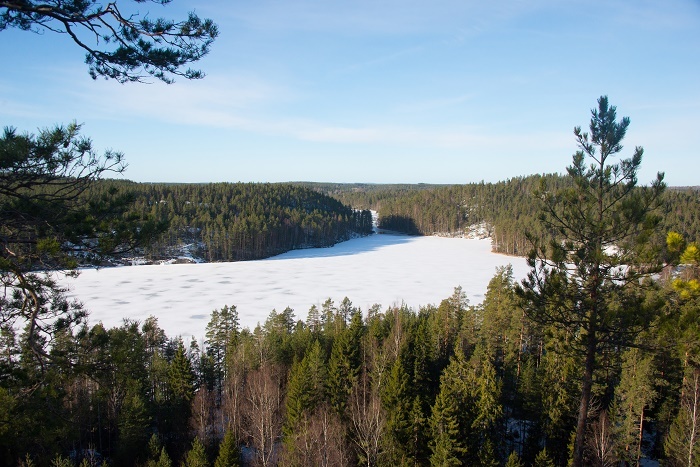 In winter the timber was taken onto the ice covering lakes, and in spring when the ice melted it was floated down streams to larger lakes. 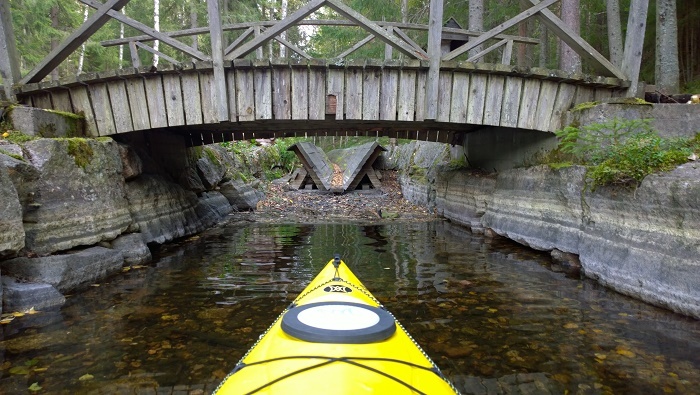 Log floating flumes were built across rocky streams, among which the Kuutinkava Canal was one of the better known. 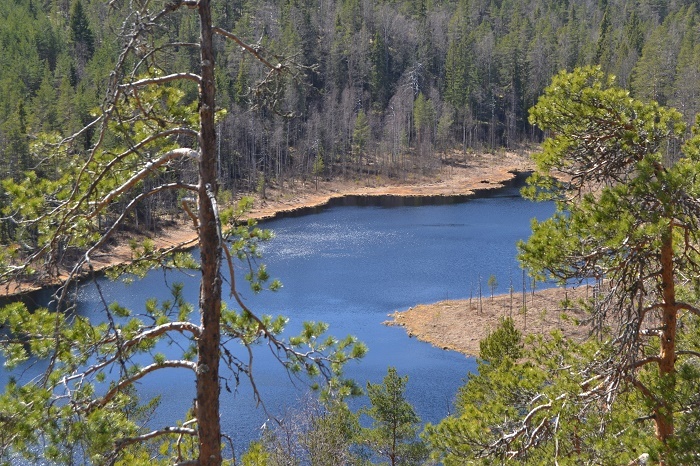 The trees that dominate the park are pine and birch, and from the fauna the red-throated diver, the Eurasian lynx, the moose, many owls and several galliformes are roaming wild together with bears, deer and various birds. 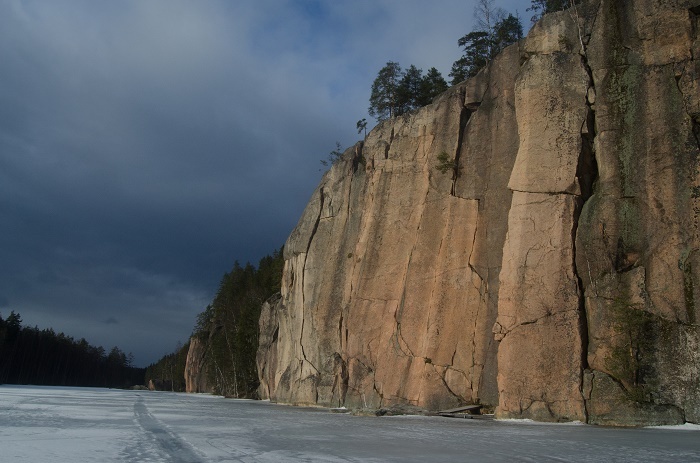 A thrill seeking place for the Scandinavian landscape lovers, this is definitely the place to be if someone would want to experience the wilderness of Finland which is so close to the capital Helsinki, and yet so far from civilization.